Originally built in 1931 as a warehouse for the Brunswig Drug Company, Brunswig Square is located at the corner of 2nd & Central, in the heart of Little Tokyo, two blocks west of the Arts District and 2.5 blocks east of the Historic Core. The only true creative office/retail building in Little Tokyo, Brunswig Square is distinguished by 7 floors of creative office space, fantastic views of downtown Los Angeles, high ceilings and over 33,000 square feet of street level retail. Brunswig Square has onsite parking and there are 10 public parking structures within 2 blocks of the building. Parking is convenient, easy, safe and plentiful. Brunswig Square features high ceilings and floor to ceiling windows with fantastic views of the Downtown Los Angeles area. 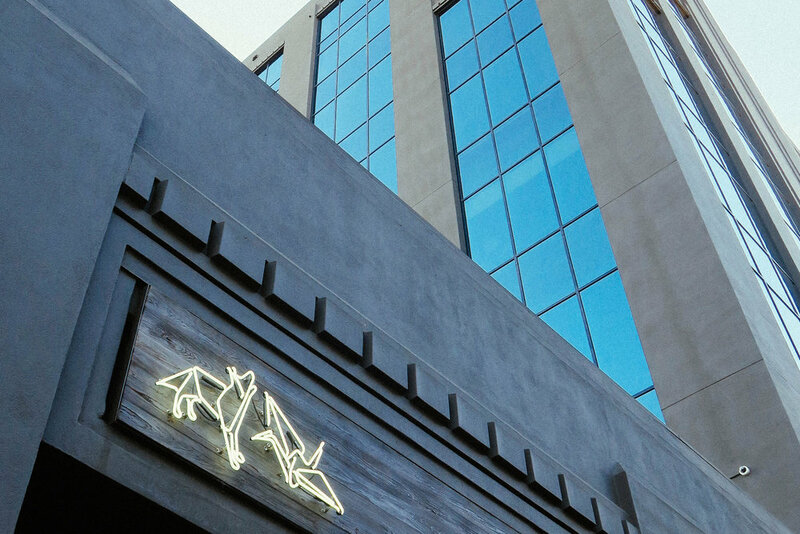 Over 33,000 square feet of street level retail space on a vibrant corner connecting Little Tokyo to the Arts District.